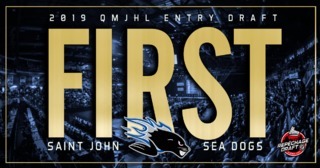 The Saint John Sea Dogs picked up their first win of the regular season on Sunday in a physical win over the visiting Moncton Wildcats, 5-4. New Brunswick native and rookie Josh Lawrence was electric in the win contributing a hat trick and assist. Moncton opened the scoring at 5:58 of the first period on a power play goal from Elliot Desnoyers. They added another again on the powerplay at 16:53 of the frame on a blast from Dylan Seitz. Shots in the period favored Moncton 11-8. 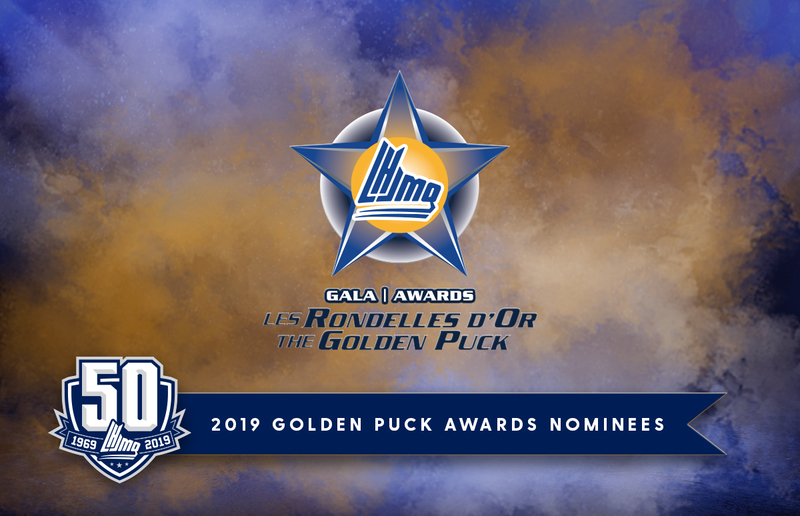 The second period was all Sea Dogs as Josh Lawrence picked up his first of the game lifting the puck over the pad of Charles-Antoine Lavallée. He then added his second just 48 seconds later to tie the game 2-2. 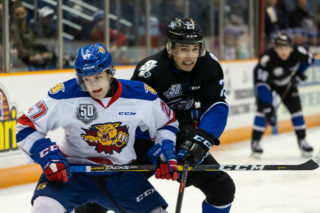 Rookie Jeremie Jacob added the first of his QMJHL career just over three minutes later to give the Dogs the lead for the first time in the game, 3-2. It was shortly after Saint John took the lead that the game became physical including fighting majors for Nicholas Deakin-Poot and Gabriel Sylvestre. 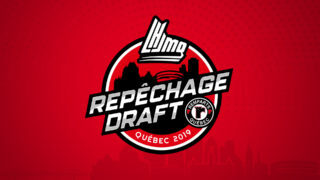 Moncton tied the game on a Jordan Spence goal but it didn’t last long as Maxim Cajkovic scored his first in the QMJHL to put the Dogs back on top 4-3. Moncton out shot Saint John 18-14 in the period. Moncton opened the period with a quick goal from Elliot Desnoyers just 23 seconds into the third, Desnoyers’ second of the game. A scary moment saw Maxim Cajkovic laying on the ice for an extended time after an elbow to the head from Dylan Seitz. Cajkovic returned to the game later in the period. 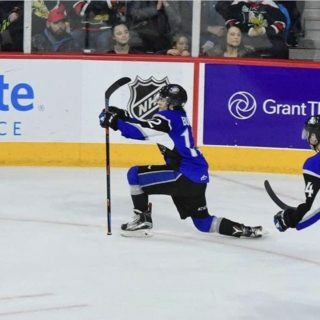 In what seemed like a matter of when not if, Lawrence then potted his third of the game at 4:26 of the third to complete the hat trick and secure the win for Saint John. Alex D’Orio was strong in net for Saint John stopping 34 shots. Charles-Antoine Lavallée turned aside 30 in the losing effort. 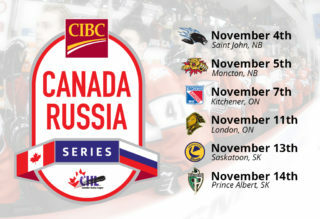 These two teams will meet again on Friday, September 28th in Moncton as the Wildcats open the Avenir Centre for their home opener. Puck drops at 7:30.